You might find having a Pet Ashes Ceremony is a helpful way to cope with losing a pet. They are an important part of the family and should be treated with all the love and care that they gave you. 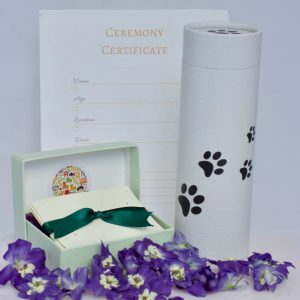 Whatever you decide to do with your pets ashes we have some ideas that can make the event as special and unique as they were. We can help you to have a really memorable event.